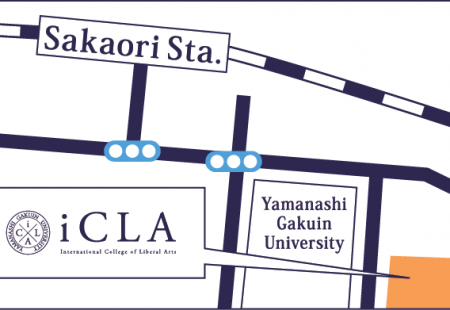 A 3-minute walk from Sakaori Station on the JR Chuo line. 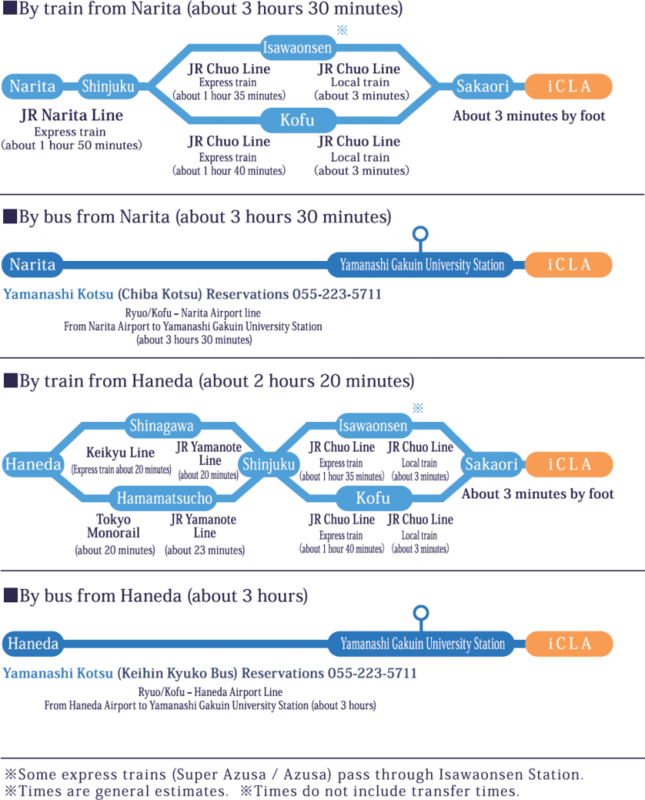 A 12-minute walk from Zenkoji Station on the JR Minobu line. 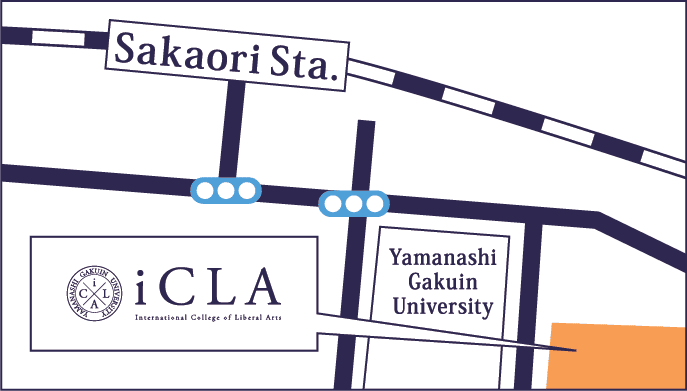 Take a bus bound for Kofu Station via Isawa from the express bus terminal at the Shinjuku Station West Gate and get off at the Yamanashi Gakuin University stop. From Tokyo, take the Chuo Expressway from the Ichinomiya-Misaka Interchange toward route 20 (Kofu Bypass) to Kofu city. Turn left at Mukoumachi 2 (向町二) intersection and then turn right at Yokone-kosenkyo minami (横根跨線橋南) intersection.